London view: What has European foreign policy ever done for us? Here is ECFR's summer reading list - a reminder of some of our key reports from recent months. 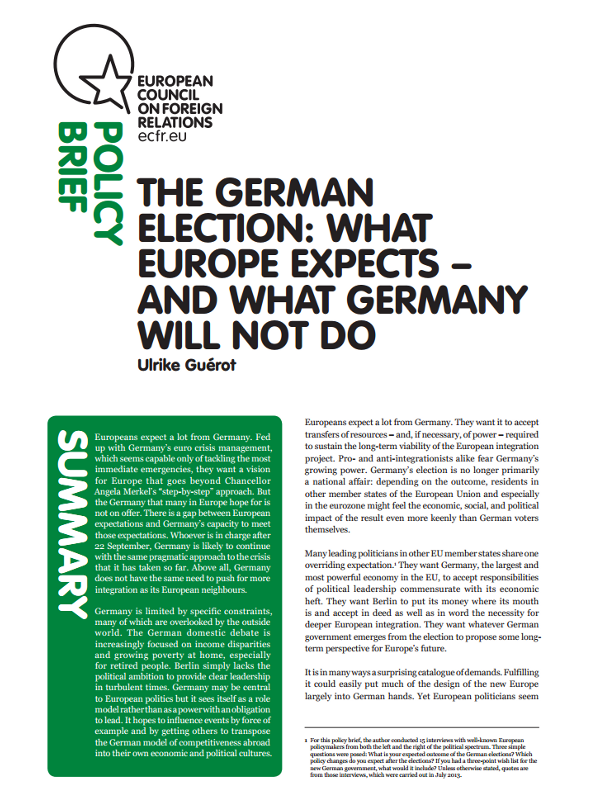 We not only published papers on the conflict in Syria and the Middle East peace process, we also looked at issues connected to the eurocrisis, the search for a common European security strategy or an in-depth look into Xi Jinping's China. Most papers are available for handy holiday reading as downloads for Kindles (mobi) and other ereaders (epub). 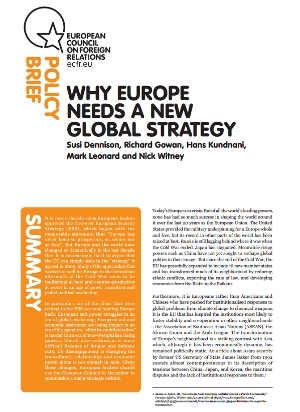 If there was one clear message from the “New political geography of Europe” collection of essays that I edited last year with Jan Zielonka, it’s that all EU politics is local (or at least national). That, of course, is exactly how British attitudes to Europe have appeared to those on the other side of the English Channel for many years. Today there is another example of just that: the second reading of a “Private Member’s Bill” in parliament, proposing an “In/Out” referendum on Britain’s EU membership by 2017. UKIP gains: good news for British Europhiles? Bad news for British Europhiles: the UK Independence Party, a group of bullishly Eurosceptic upstarts, did remarkably well in local elections (and one by-election) this week. Good news for British Europhiles: UKIP did remarkably well in those elections. "This is the day when those dubbed "clowns, loonies, fruitcakes and closet racists" may find it hard to resist the temptation to laugh in the face of their detractors in the established political parties. It is the day UKIP emerged as a real political force in the land."